by Martin Malden on 19 January, 2012. Last updated on 28 December, 2018. I see an awful lot of bad advice in some of the forums I visit – advice that, at best, will deliver no benefit and at worst may be harmful. One such is on the question of keyword density, and the advice I see so often is to have a density of anywhere between 2% and 5% in your articles. It makes me want to tear my hair out, because it’s a myth that appears to have eternal life. Despite being proven untrue time and again, this farce has legs, and indeed, many SEO tools feed on the concept that keyword density is an important metric. It’s not. You can read the full details here. You’ll need to scroll down to the second sub-heading (META tags) and look to the right for the ‘Keyword Stuffing and Density’ sub-heading. I’ve said it on this site time and time again: write for people, not the search engines. It’s people that will link to your site (which will do more for your SEO than keyword density ever will) and people who will buy your stuff. Not the search engines. Where keywords are important is in the Title tag, and they’re important here as much for people (again) as for the search engines. This is because if you choose a keyword wisely and get it into your Title tag it will be bolded in the search results when someone types it in as a query. 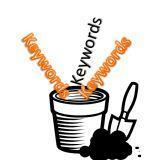 That would make it a keyword-optimised Title tag and give it a better chance of attracting the searcher’s attention. In order to craft a keyword-optimised Title tag you first need to know what terms people are using to find what you’re writing about. So go to the Google Adwords Keyword tool (or log in to your Adwords account if you have one) and type what you think someone searching for your information might type into a search engine. In response you’ll get a list of related keywords with the numbers of global and local searches against each. These are the search terms that people are actually using to find what you’re writing about. So pick one of them that best suits the message of your article, and has a reasonable number of searches, and use that in your Title tag. You can also include it in your Description tag, even though the search engines don’t use keywords in this tag in their ranking algorithms. In fact, they will sometimes ignore the tag you set up and extract a snippet from your article if they think it’s more relevant to the search term. None-the-less, incorporating the keyword you choose from the keywords tool in your description tag will ensure that it’s highlighted in the search results when it is used. And that, again, will attract the attention of the searcher and help to entice them to click through. So please: ignore keyword density in your articles! Pay attention to keywords in your Title and Description tags, and make sure the other aspects of on-page SEO are in place. And then write for people, not the search engines! I want to know that with page size and Keyword denisty, how much inbound and outbount links are good for high ranking. Well, the more inbound links you have to a page on your site the better unless they’re spam links or links from spam sites – you want relevant, quality links, not any links. Outbound links can be annoying if they’re over-done, and certainly if they’re repeated on the same page. So set up outbound links thoughtfully: ensure they’re going to relevant information and don’t repeat the same link repeatedly within the same article.